Going to keep it short and sweet today. I am probably in class as this baby goes up, so lets get cracka-lacking! Thanks to Jenn for Hosting as always : D You're a star! 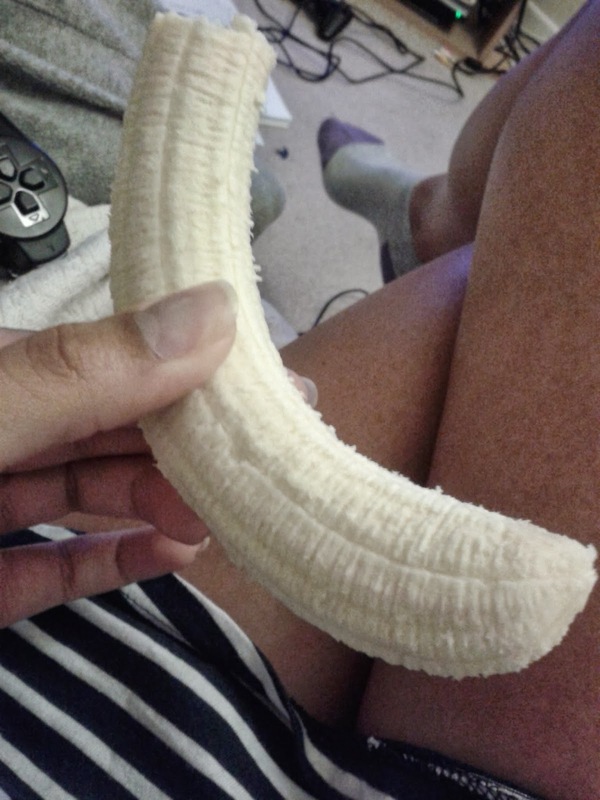 It was a full-banana before I devoured it. 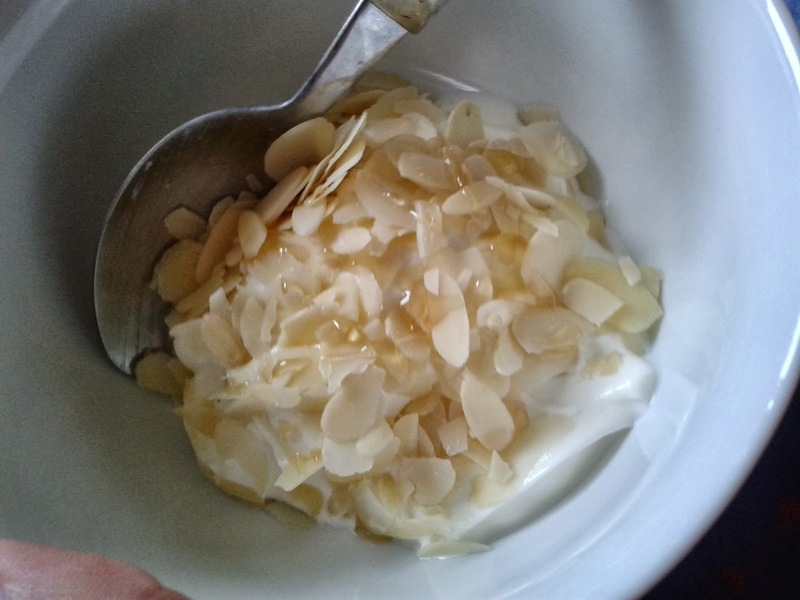 Greek Yoghurt, Sliced Almonds, Honey. 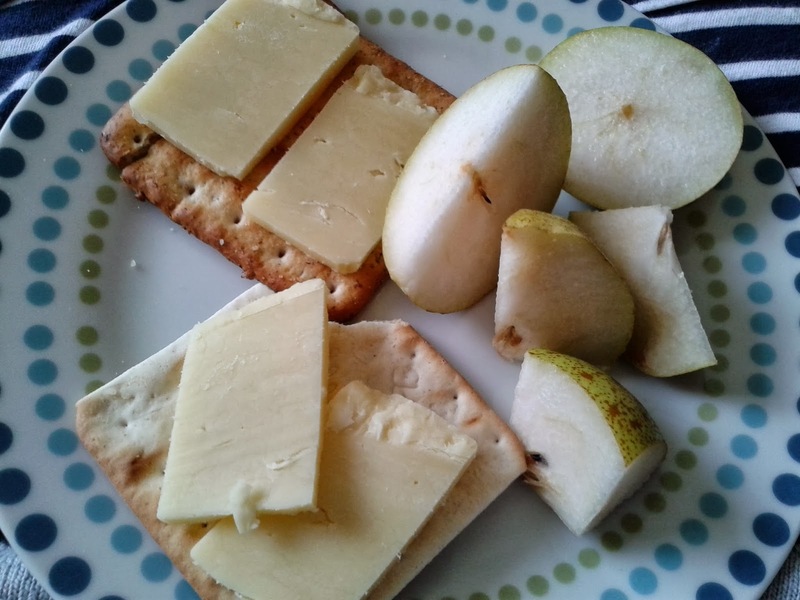 Crackers, Cheese, and a Pear. 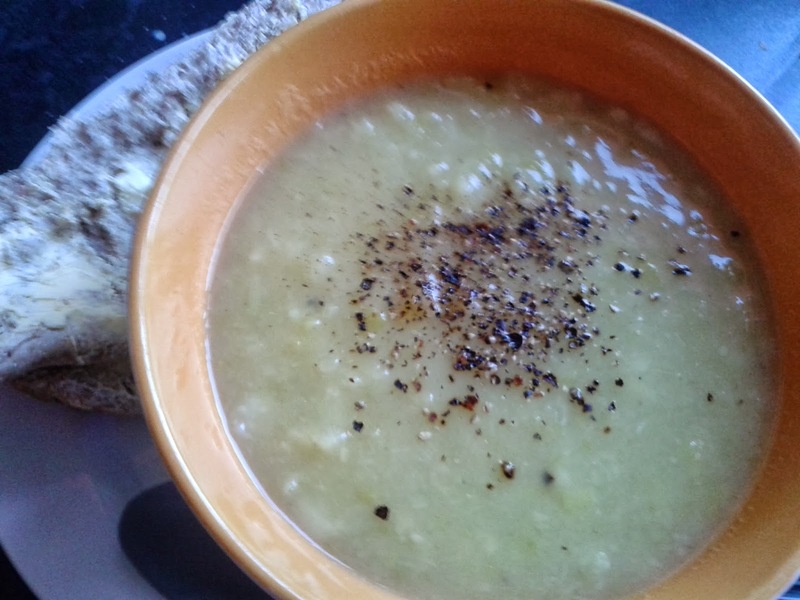 Leek and Potato Homemade Soup. 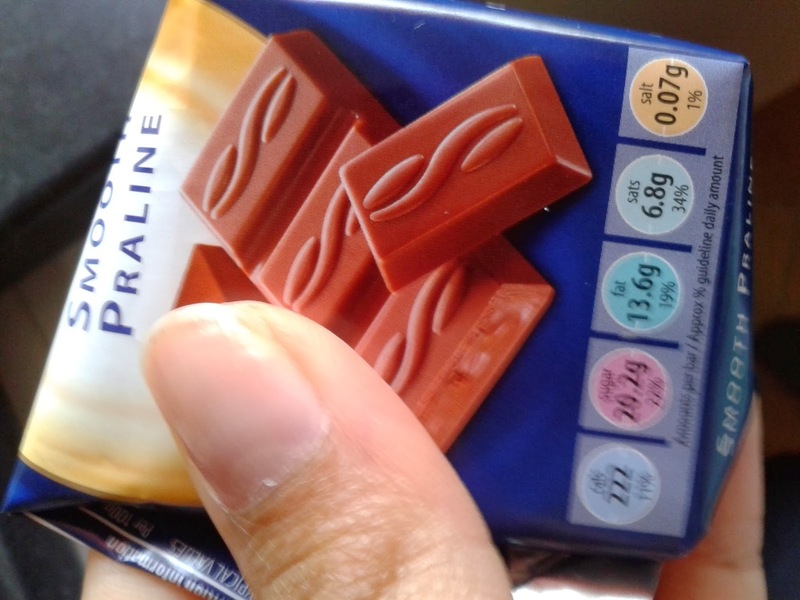 Half of One of these Bars - Pralines are so good. 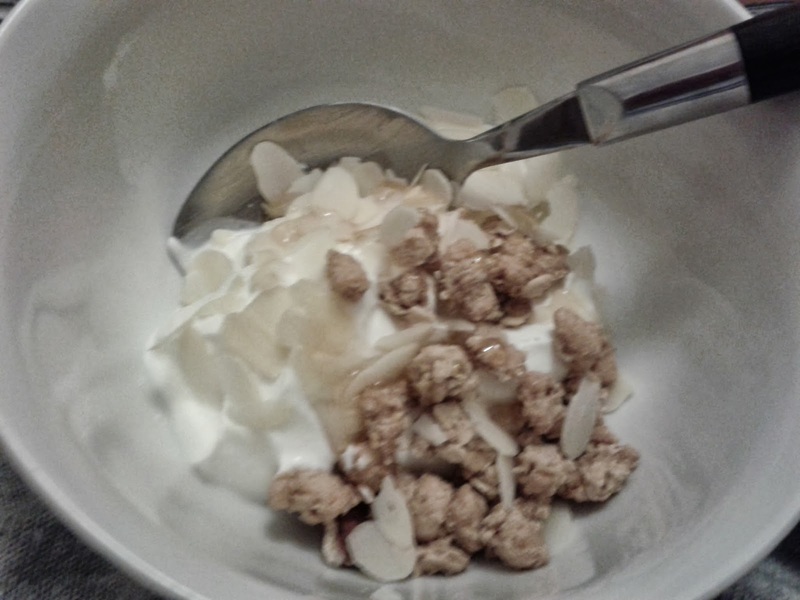 A Mixture in a Bowl - Cereal, Greek Yoghurt, Sliced Almonds, and Honey. 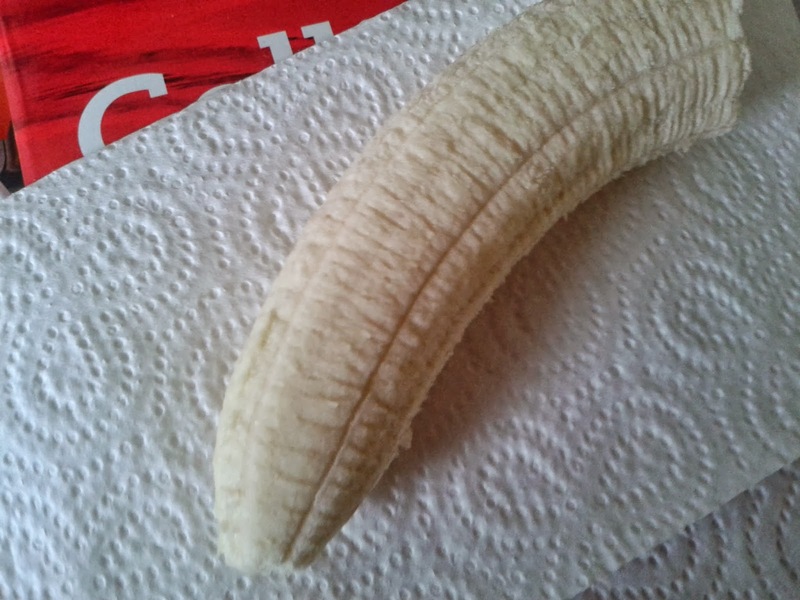 Another shot of an half-eaten banana that was full before I took a bite. Why does my skin look weird in this photo?! So apparently I had a day of eating white/yellow and green things. Not necessarily a bad thing, but definitely not the most colourful!